AIXaTECH has been awarded the prize for the highest market impact! 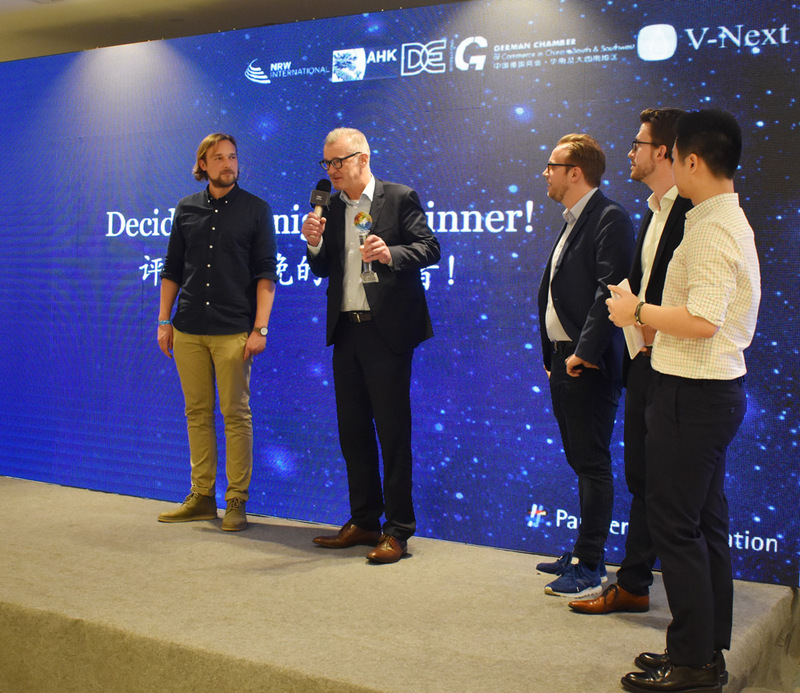 During the pitching night at Shenzhen Stock Exchange AIXaTECH convinced jury and audience with its novel Low Temperature Epitaxy. Shenzhen, China, is the worldwide leading hub for hardware and is one of the most dynamic startup markets of the world. Companies like Huawei (second largest smartphone manufacturer), ZTE (telecommunications) or Tencent (market leader in social media- and gaming area) make for the international focus of Shenzhen. In the background of this eco system AIXaTECH participated in a pitching night at the Shenzhen Stock Exchange on 28 March 2019. Dr. Volker Sinhoff gave a short outlook on AIXaTECHs groundbreaking novel technology and the company’s strategy to develop the markets. More than 150 investors, business angels, corporates, startups und insiders joined the event as visitors. The jury selected the winner in three categories. In the category high-tech AIXaTECH was ranked first. And also in the finals AIXaTECH could convince the jury and the audience. With its novel Low Temperature Epitaxy AIXaTECH was ranked first! The company was predicted a high impact on LED and high-power electronics market worldwide. The event was organized by the German Chambers of Commerce Worldwide Network (AHK Greater China) in co-operation with NRW.International GmbH and supported by the Ministry of Economic Affairs, Innovation, Digitalization and Energy of the State of North Rhine-Westphalia. Dr. Volker Sinhoff thanks the jury and the audience for ranking AIXaTECH to the top!